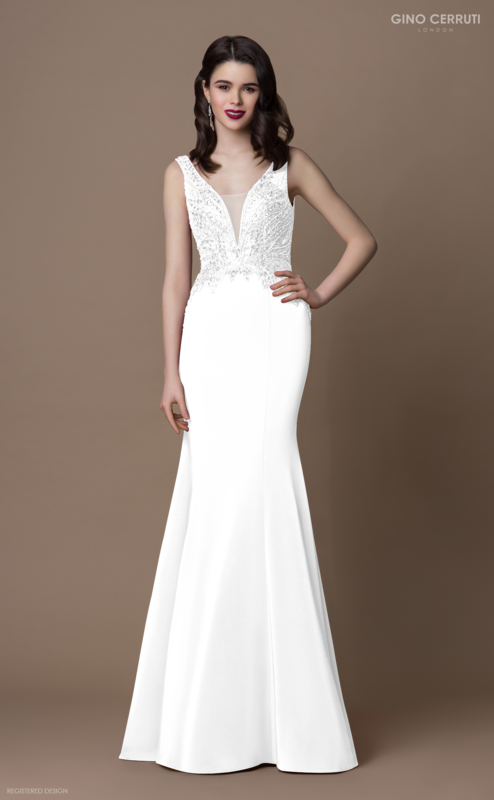 This luxurious mermaid-style crepe evening gown will ensure instant glamour and Red Carpet look. It perfectly shows off your pretty back and flaunts all of your curves. The sleeveless V-cut neckline embellished with the crystals and sequins. It’s gorgeously ended with a train.